Among the representatives being sworn in are three women who were former advisors of Marielle Franco, the councilwoman shot to death in March of 2018. RIO DE JANEIRO, BRAZIL – Representatives of the Rio de Janeiro Assembly will being sworn in today for the upcoming four-year term, but six of the seventy members will be unable to attend the ceremony because they are in jail, accused of corruption. On Thursday, a state court denied the request that the six be allowed to attend the swearing in ceremony at the Assembly building. 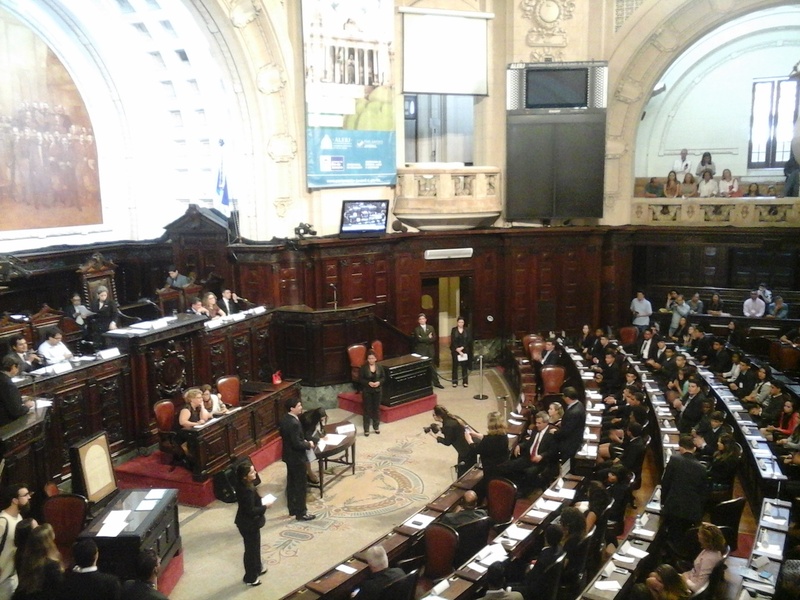 Rio’s state assembly will start a new term on Friday, photo by Osorio Caveirao/Wikimedia CC. “It is absolutely incompatible with the preventive detention ordered, especially due to the motives (for the incarceration) and the risk of repetition (of the crime) which resulted from the exercise of the legislative mandate, said Judge Gustavo Arruda de Macedo, in denying the authorization for the elected representatives to leave prison or their house arrests. If the six lawmakers do not take office in 60 days, they run the risk of losing their office. Five of the six were already lawmakers, were reelected in October and were arrested in November accused of being part of a corruption scheme. The death of Franco, a human rights activist and favela-community resident who had recently was chosen by the city’s legislature to monitor the military intervention issued by former President Michel Temer for the state of Rio de Janeiro caused global outrage. In November, police announced that they had identified suspects in Franco’s murder, but no arrests were made. In January Amnesty International demanded responses from the Rio de Janeiro government in the investigations of the case.